I am going to start this post off with a bit of a rant. Yesterday I had a paid ad disallowed by a major traffic source stating that the ad made unrealistic or unlikely claims. What surprised me most was that there were no actual claims made. Since most ads are human reviewed on this traffic source, I can only be led to believe that this was an arbitrary decision made by someone on the review team. The frustrating aspect of this is that my competitors in the same market are running really shady ads and landing pages on this SAME traffic source without any consequences. My sneaky suspicion is that since these competitors spend a lot of money, the traffic source is simply turning a blind eye. But then again, this has been going on since the early days with other traffic sources like Google Adwords. Which leads me to the question; are you really ever in control of your traffic? Whether you buy your traffic or invest your time into getting free traffic from search engines or social sites, the truth is that you never are if traffic is always coming from external sources. Whether you buy traffic or get it for free, things can change literally overnight. I just read that eBay lost 80% of their SEO rankings with the latest Google Panda 4.0 changes. So what is the simple solution to stop relying on third party traffic sources? Build your own audience and the easiest way to do that is with an email list. When you build your own email list, you are 100% in control. You don’t have to get your emails approved by a quality assurance team before you send them out. You can email your list as many times as you want without having to incur additional ad expenses (aside from your normal list hosting fees). You are not competing with dozens of the similar ads on the same page as your ad. When you launch a new product or service, you already have an audience to advertise to when you have an existing email list. 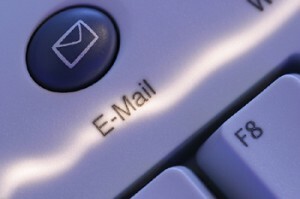 You can actually build a relationship with the people on your email list, as opposed to them only seeing your ad once. That is why I believe having your own email list is a must for anyone looking to build a long-term sustainable income online. I have come to the conclusion that if you want to get traffic from “hard to deal with” traffic sources, the best strategy is to siphon their traffic onto your own email list using ads that you know will get approved. Then you have free reign on what you can advertise to that prospect without having to deal with “arbitrary” ad reviews. People say that you can’t run an optin page on Google Adwords. This is not true. I have been running optin pages successfully on Google Adwords for years now and have built email lists that now have thousands of subscribers simply from Adwords. It is how you set up your optin page that Google Adwords looks at before allowing it to run. To me, having your own targeted email list to mail to is the greatest traffic source on planet earth. If you haven’t started building your own email list, there is no better time to get started then now. That is truly the only way you will ever be in control. Do you use any kind of software to mail you’re lists? Aweber? MailChimp? I use Aweber, Getresponse, Send Reach and my own server to mail. Hi Gauher… What was the traffic source that made this arbitrary decision? Thank you for this post.i was just thinking the same thing the other day when facebook suspended my account without giving any reason.I emailed 3 times no reply,no phone or email to contact.basically we are stuck.we are to their mercy which i do not like.I agree email list is the way to go. Lets just say it was a major social network. Big traffic sources never care unless you were spending gazillion dollars a day with them. Build an email list. That can never be taken away from you. Gauher, Could you give us some samples of squeeze pages for adwords??? I’m currently trying to advertise on Google Adwords, but I keep getting my landing pages disapproved, can you let me know how you get your landing pages approved on Adwords? Yes can you give example of a a lander that gets approved for google. What reason are they giving you for disapproval? Roger/Carlo, I use the optin template by Natalia Kern inside Leadpages.net. Google Adwords lets me run it. Shows we have to take control over our businesses and build an audience that we can sell without outside control. The best thing to do is just be compliant with the traffic source(s) and sell better than the guy getting his ads approved through your list. Keep posting blogs. Your knowledge & experience is invaluable. Thanks for taking time out of your busy schedule to write and share your insights. At the end of the day email always wins for sales, because they know you and trust you. Agree that you got to be in charge of your leads, but don’t forget to back up your email lists. How many marketers got caught by the auto responder companies suddenly going ballistic? Bottom line, diversify your sources, whatever you are doing and keep multiple access to your leads and buyers- including on your own server ( backed up..) .. just sayin.. I too would like to see some examples of acceptable opt-in landing pages. I would like to send PPC traffic to my opt-in page and build my email list but you can never be sure if a page will meet their T&Cs. I was just beginning to get good results with PPC and was going to scale up when I got slapped by Google Adwords a few years back when they did their first big purge. I then went to Microsoft Adcenter (now Bing Ads) and again, was just starting to do ok when they suspended my account after an editorial review. They said some of the landing pages I was driving traffic to were ‘vague and sensationalistic’, but weren’t able to tell me which ones. You can’t argue with something so subjective anyway so I pulled out. To be fair, they did offer to work with me on this but first suggested that I clear the account of all my campaigns. I may still restart with them but working within PPC platform’s T&Cs is difficult when their judgements seem so arbitrary. I now have another live Google Adwords account but won’t risk sending any traffic to affiliate offers. Any suggestions for less restrictive alternative PPC platforms? but what about the delivery rate and compete with dozen of other marketers promote to your subscribers ? Hi Gauher, what is your take on building not an email list, but a mobile phone list? I also regret not making a list of my own.You touched me really with your eBay ( and now Amazon ) example and we get to see how people are cursing whenever there is a new update. So, why let others decide your destiny, when even God never intervened in our destiny? Building list is the only realm, where we never have to spend a dime to contact or bring to us. Once we paid for the traffic, it’s the first and the last time. But, the fee is recurring, there can be a game changing decision. I have an offer for Internet marketers that, what if we should spend money for once to build up a server like Aweber, GetResponse or Mailchimp? I agree, this is the greatest traffic source on planet Earth! I regret not making a list of my own. Shaboom! Much agreed. A lot of marketers want to create these magical softwares to “market” on new platforms, whether it be Pinterest, Instagram, etc. I’ve also come to the conclusion that the sole purpose of these high traffic platforms, for SMART/lazy marketers is simply to figure out the fastest and best way to siphon as much of that juicy targeted traffic as you possibly can to your own list. And from there you can market to them however you choose.